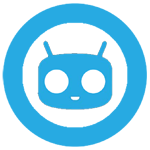 The G3 S is codenamed "jag3gds" on the CyanogenMod download page. If you don't recall, it was a smaller, cheaper version of the G3 flagship design released in late 2014. The G3 Beat is an alternate name for the same device sold in different territories - it's codenamed "jagnm." The G2 Mini is pretty much the same idea applied to the previous year's flagship, going by "g2m." The Optimus L70 (one of the few remaining devices under that brand name) is a low-cost entry level phone that's available on Metro PCS and some budget MVNOs, and it's under the name "w5." As always, prepare for some instability and bugs when you flash a nightly build. You'll need the latest version of the GApps ZIP package if you want access to the Play Store and other Google services.